Details: Releaf™ Balm is tougher than pain, bringing a breakthrough new approach and formula. This formula delivers hours of pain relief in an all-natural, botanical balm that is infused with a coconut oil soak process that is unmatched for potency and terpene content. Dosage: 135mg of CBD and 45mg of THC per container. 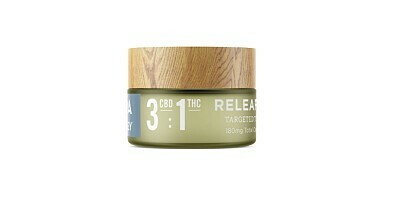 THC:CBD ratio is 1:3. 15ml jar contains 180mg total cannabinoids. Suggested Use: Apply anywhere for relief of chronic pain and inflammation. Duration is typically 2-3 hours. About Papa & Barkley: Papa & Barkley is an award-winning line of topicals, tinctures, and patches that focus on pain relief management. Our super potent formulations are 100% natural, triple-tested for safety and efficacy, and made with premium sun grown cannabis flowers. Our products offer a range of ratios from THC rich formulations for acute pain relief to CBD rich formulations for chronic pain and inflammation management.